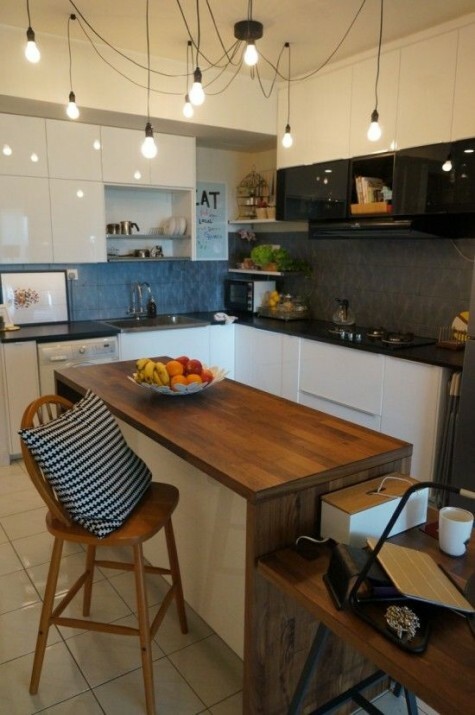 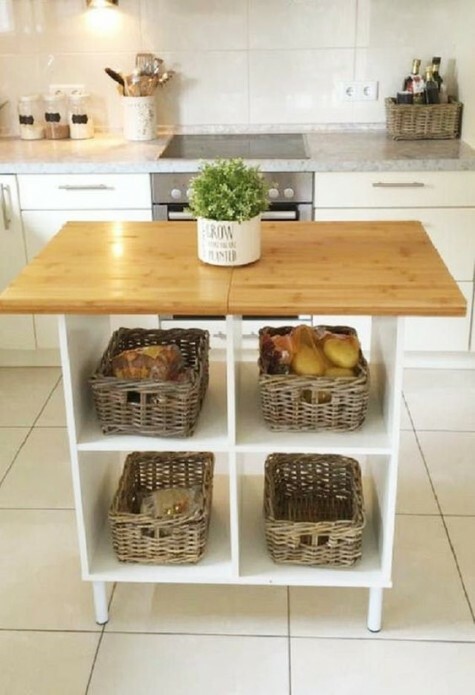 A kitchen island is a popular idea: this is a practical piece for cooking, peeling, cleaning and chopping, it often features enough storage and even an eating space if you want. 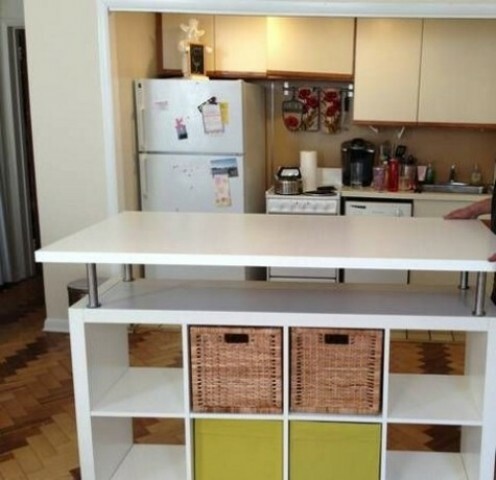 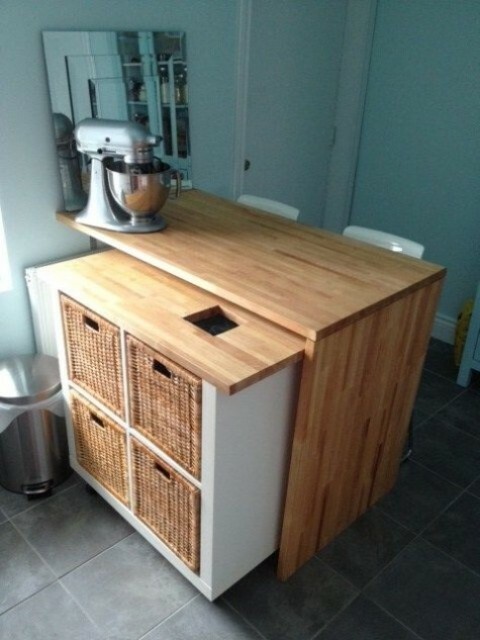 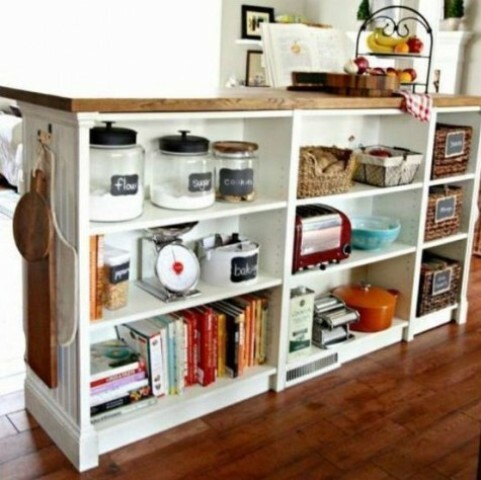 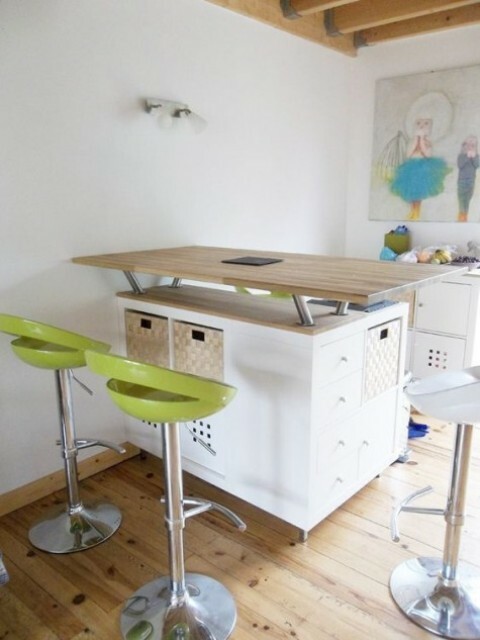 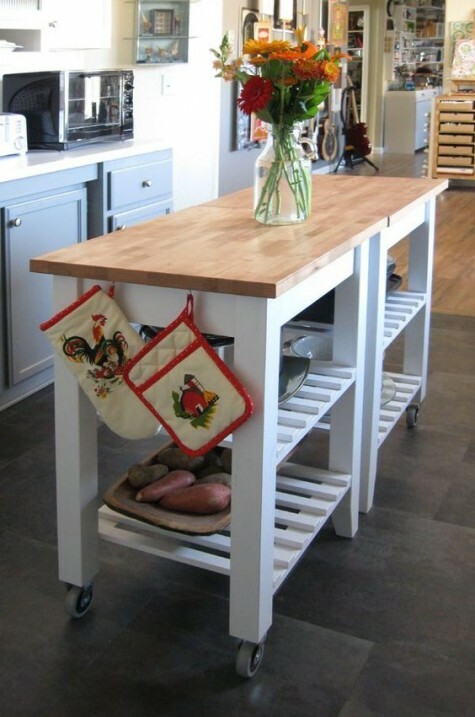 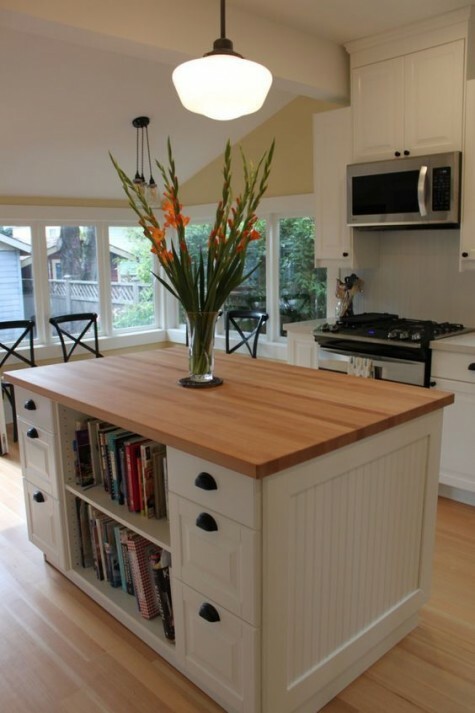 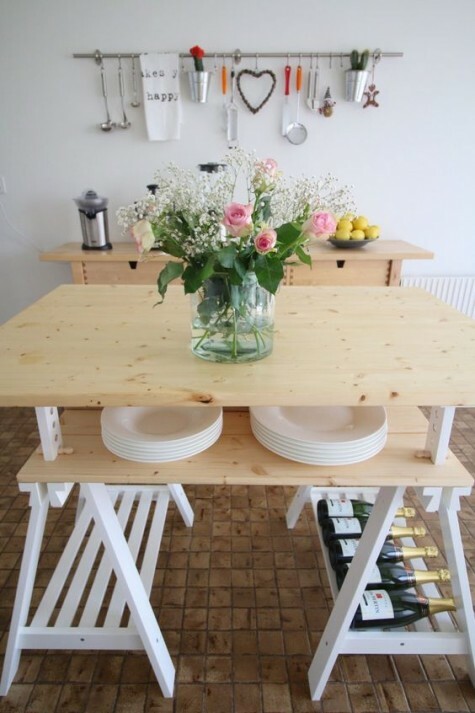 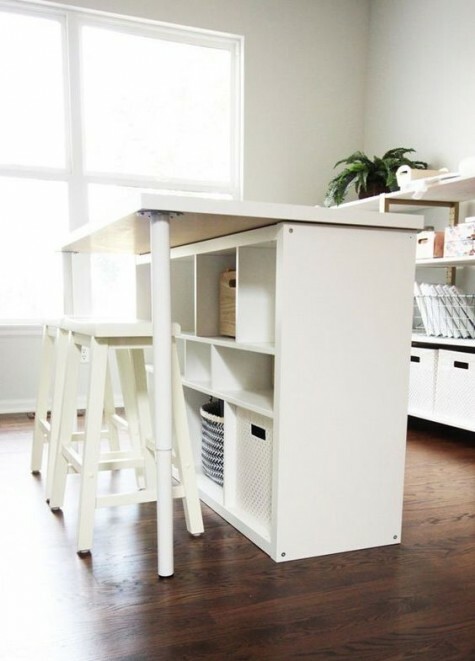 If you are considering crafting a kitchen island, here are some IKEA hacks you can realize. 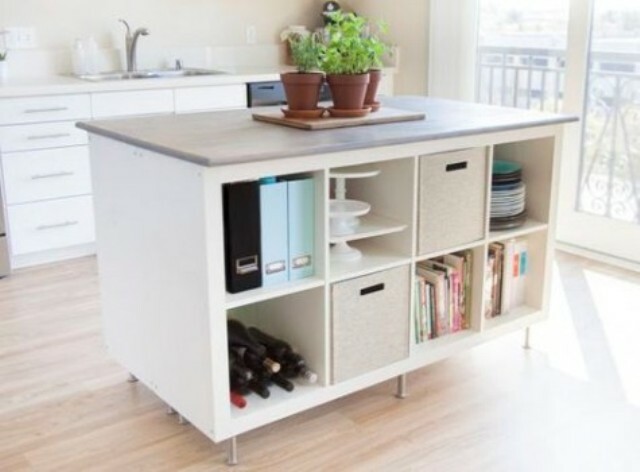 Expedit or Kallax shelving units are great for crafting a kitchen island – there’s a ton of tutorials to revamp such a piece in any style. 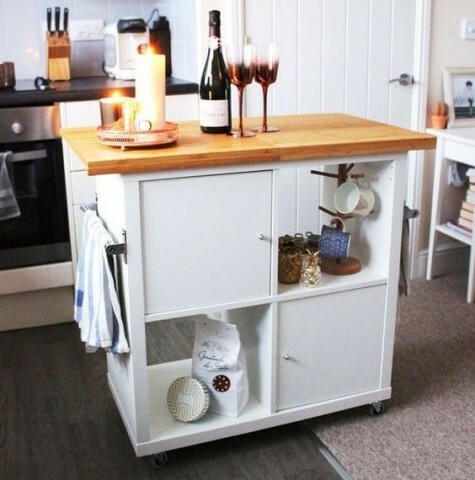 It can be placed on casters or just make one part mobile, it can include some storage – open or closed, you may add a tabletop or leave it as it is. 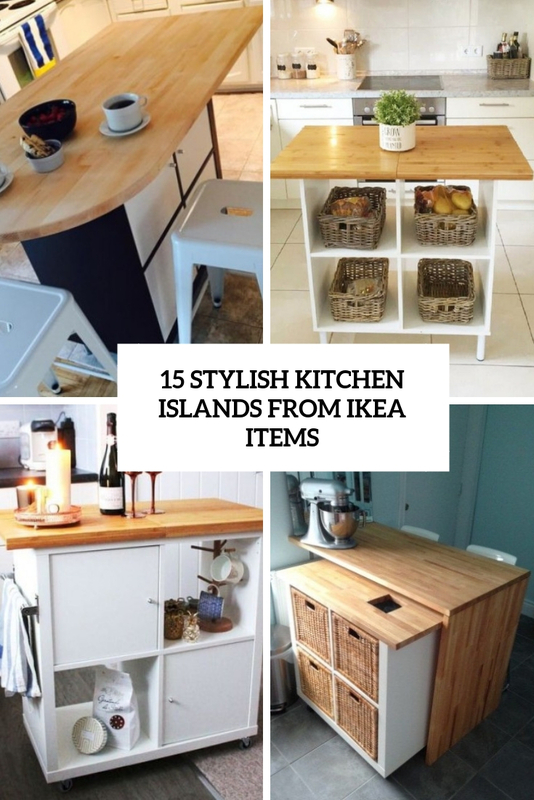 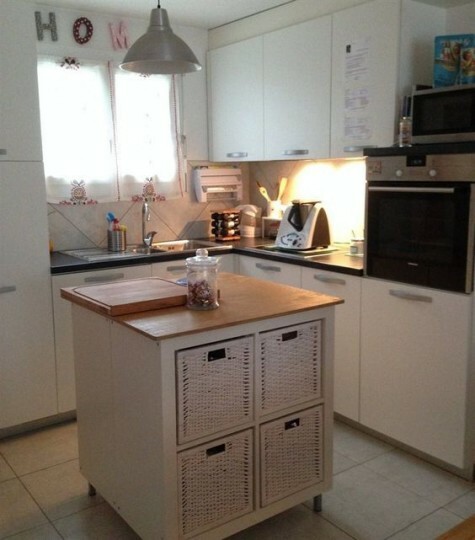 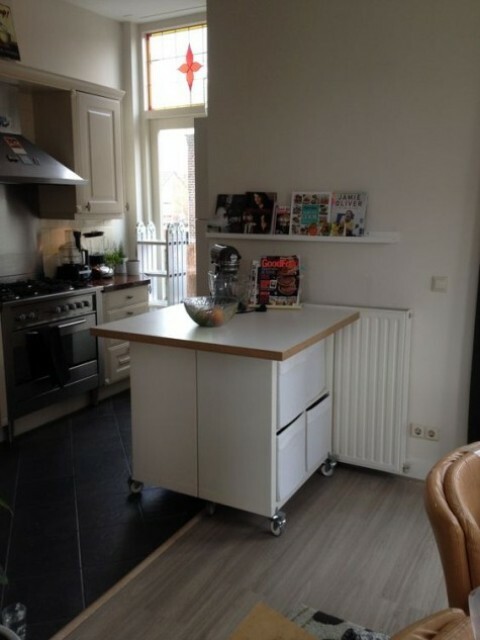 Some other pieces by IKEA that you may use for crafting kitchen islands are Finnvard legs, Metod panels, Billy bookcases, Bekvam carts that you may arrange in various ways. 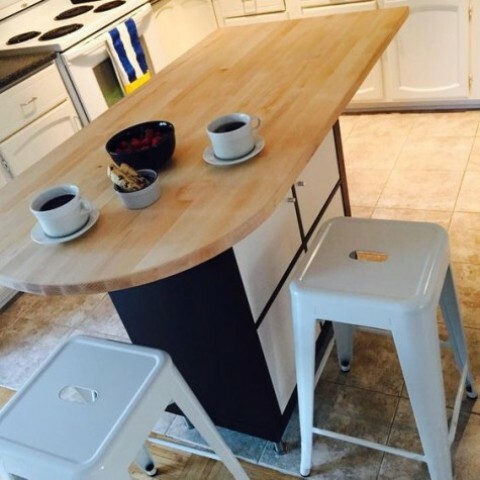 You may make a larger kitchen island of two pieces, make a waterfall island using various tabletops and many other items to fit your kitchen perfectly.